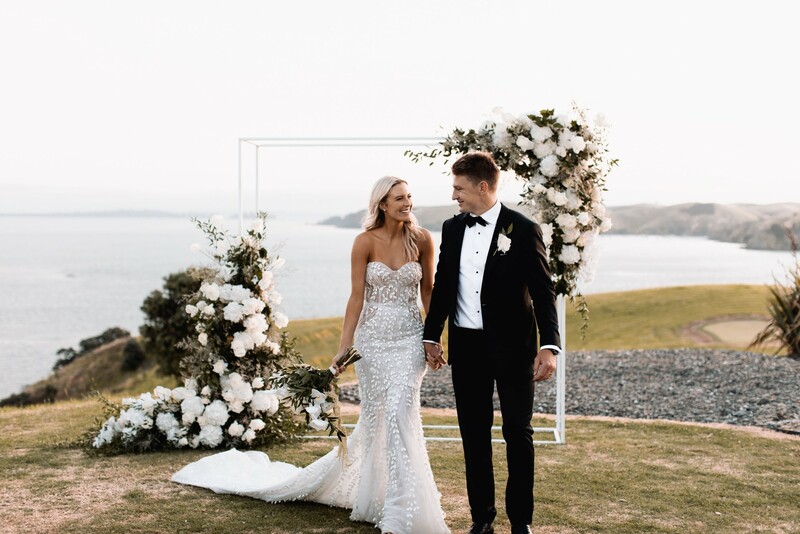 Imbued in sentimentality, Hannah and Beauden Barrett’s idyllic summer wedding unfolded at Hurakia Lodge on secluded Rakino Island in Auckland’s Hauraki Gulf. 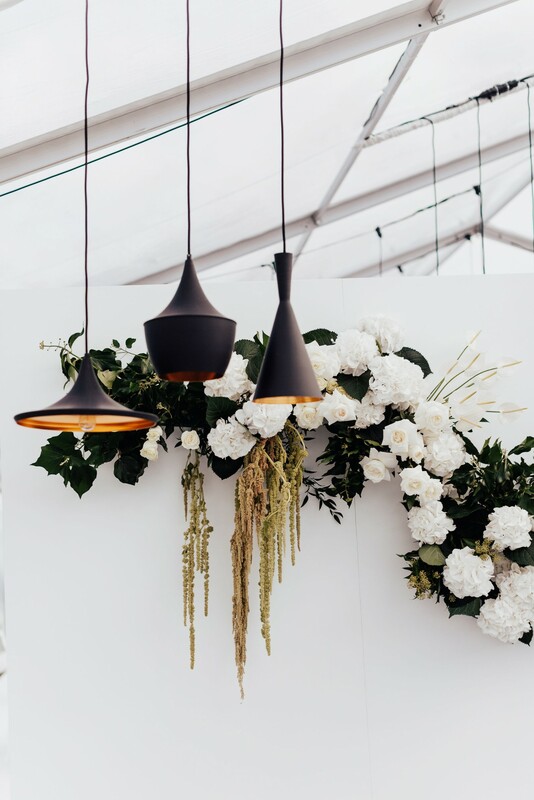 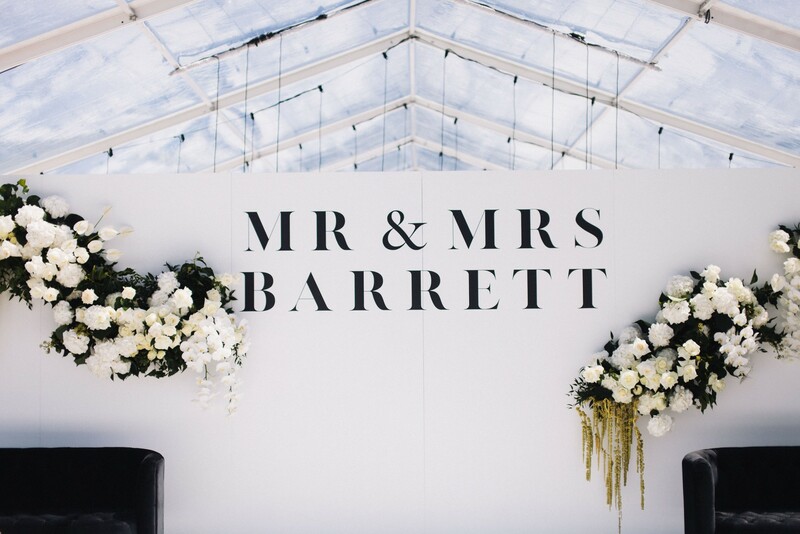 We first met Hannah back in May 2018 when she engaged our planning, floral and styling services. 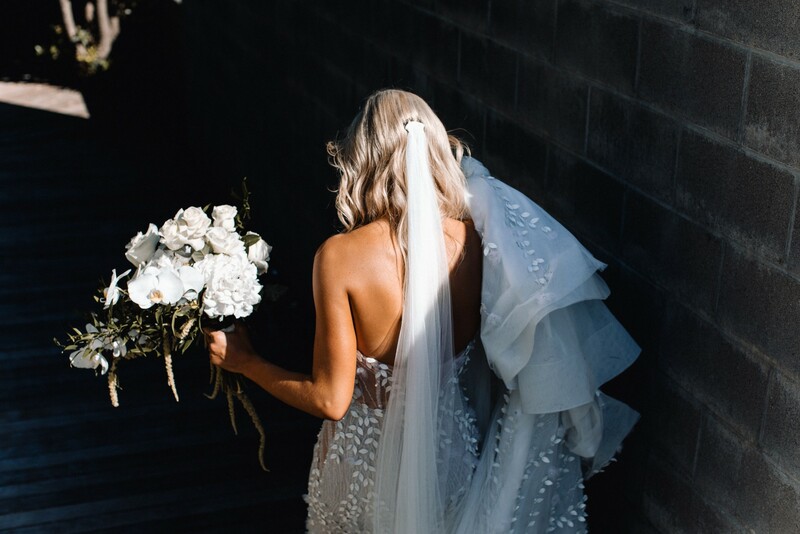 She was a dream to work with and we loved helping these two create the magical day that followed! 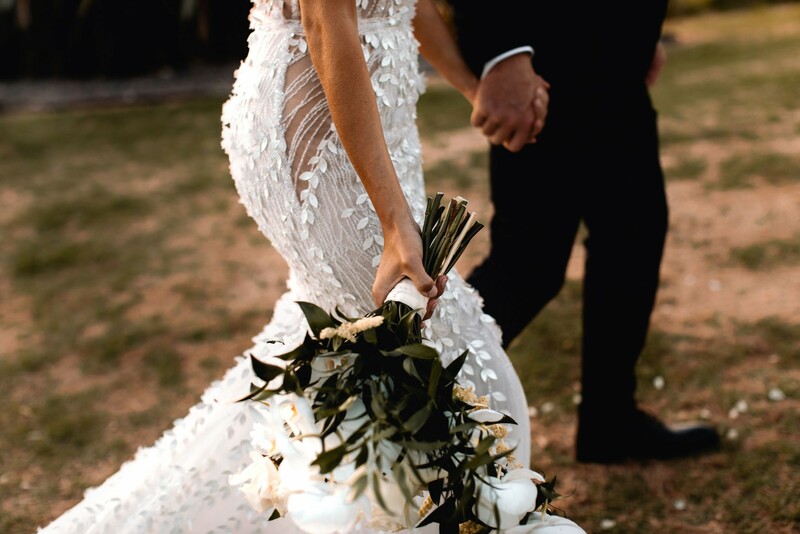 They celebrated their love with 185 of their favourites, exchanging vows overlooking the ocean and underneath sun-drenched skies. 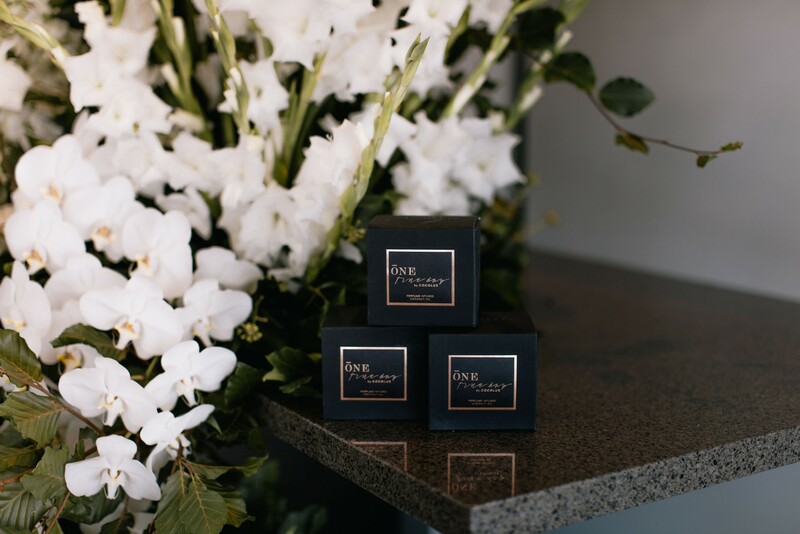 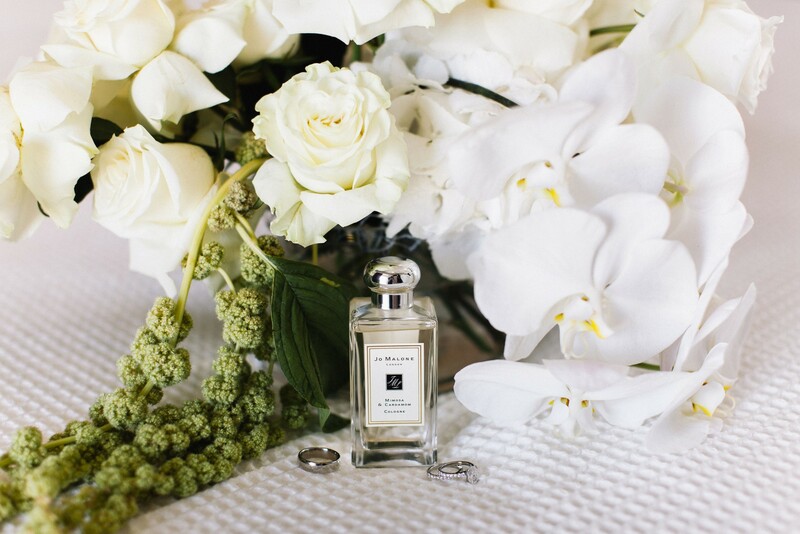 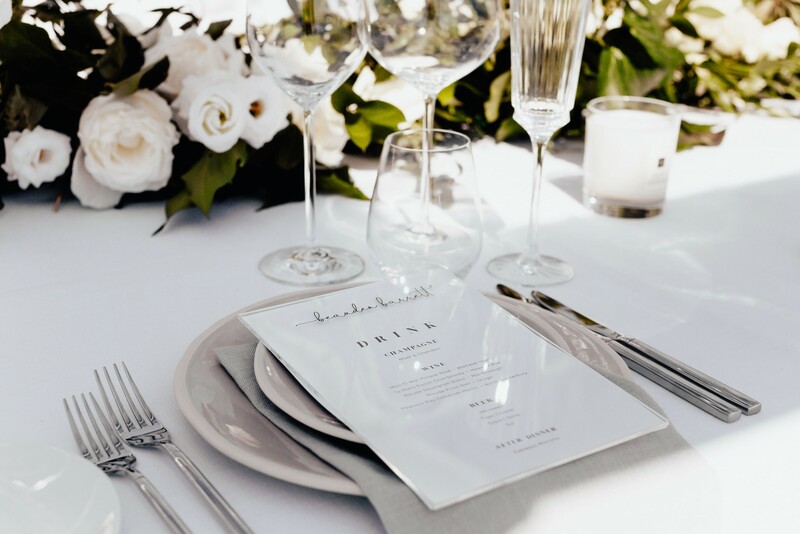 A romantic reception followed, where guests sipped champagne, dined underneath a clear marquee lit by starlight and delicious Jo Malone candles. 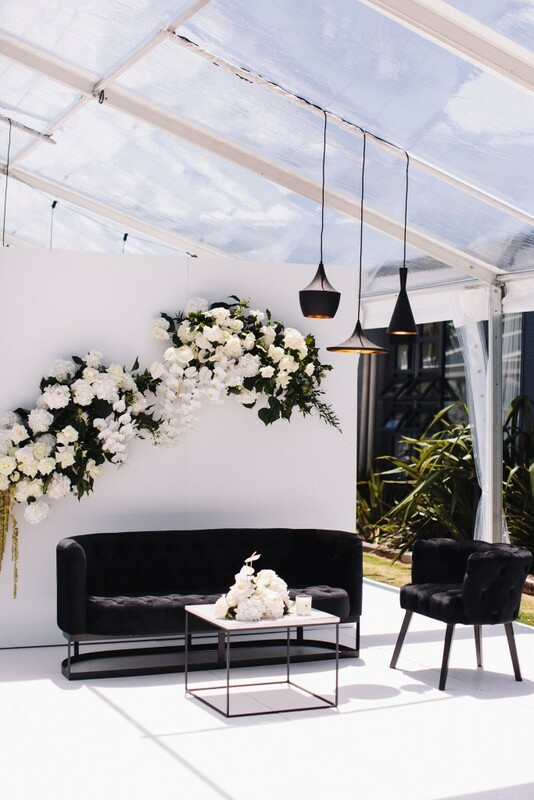 Hannah’s brief was modern, chic and luxe. 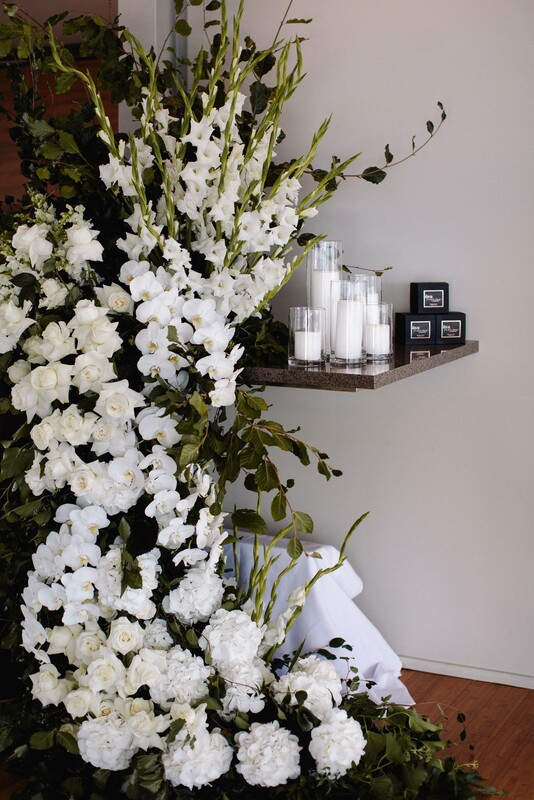 Using textural white florals with fresh green foliage, complimented by monochromatic style accents. 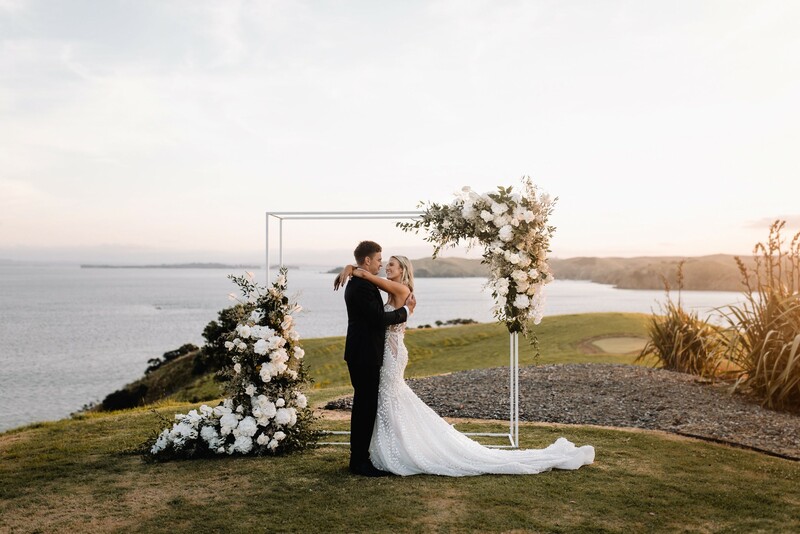 Hurakia Lodge lends itself to some spectacular scenes which Hannah wanted to incorporate throughout the day. 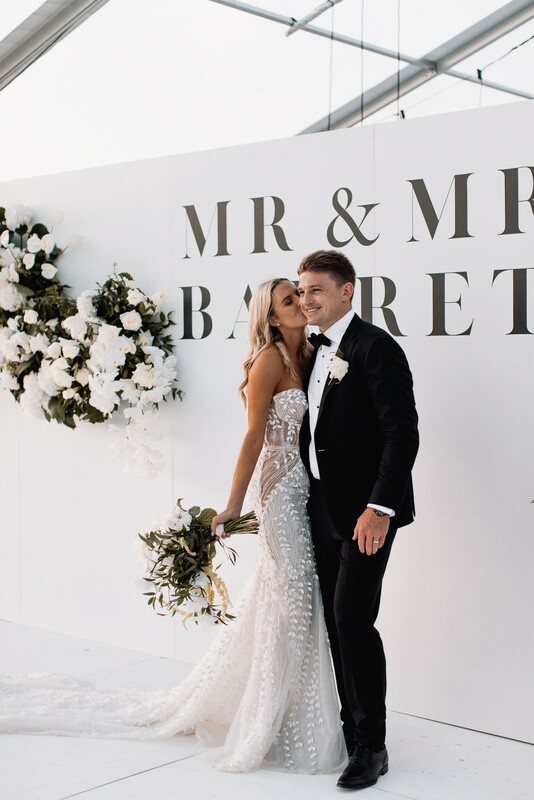 Guests arrived by ferry to the private jetty on the island and gathered by the luxurious pool area for refreshments and music prior to the ceremony commencing. 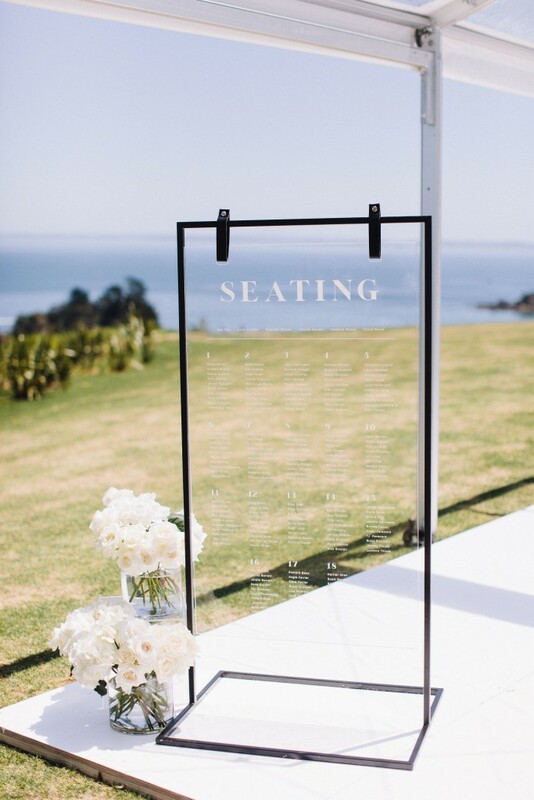 Moving through the main lounge area where a second bar was located, this was the first chance for guests to look out over the expansive sea views before moving down to the garden area for the ceremony to take place. 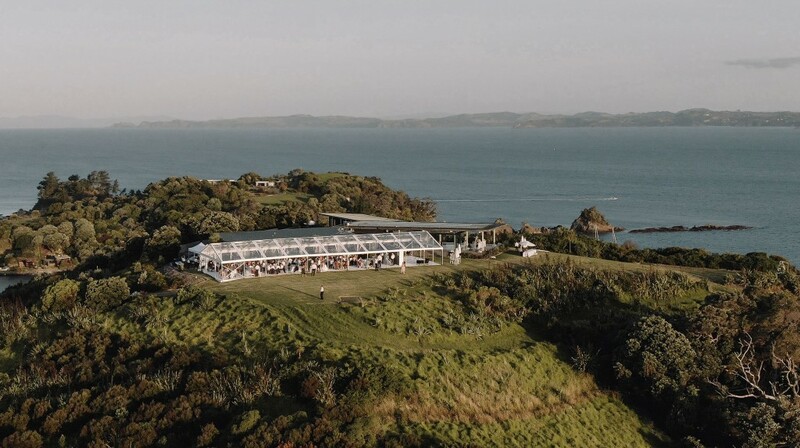 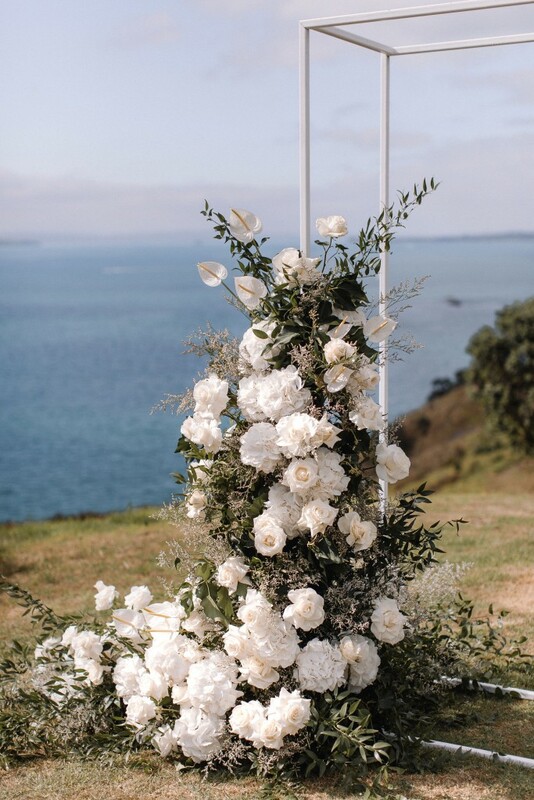 The ceremony location was the perfect setting looking out towards the south west of the island with Waiheke Island in the distance and surrounded by native plants. 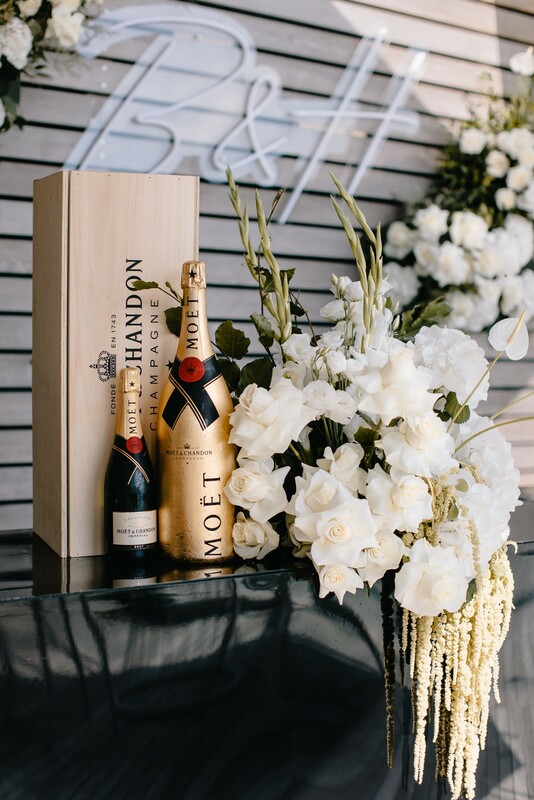 Following an afternoon of canape’s, Moët and music on the lawn, guests moved into the clear roof marquee which was unveiled to guests by moving past a custom-made wall with the new couples’ names applied which was later turned into some late evening selfie-station fun. 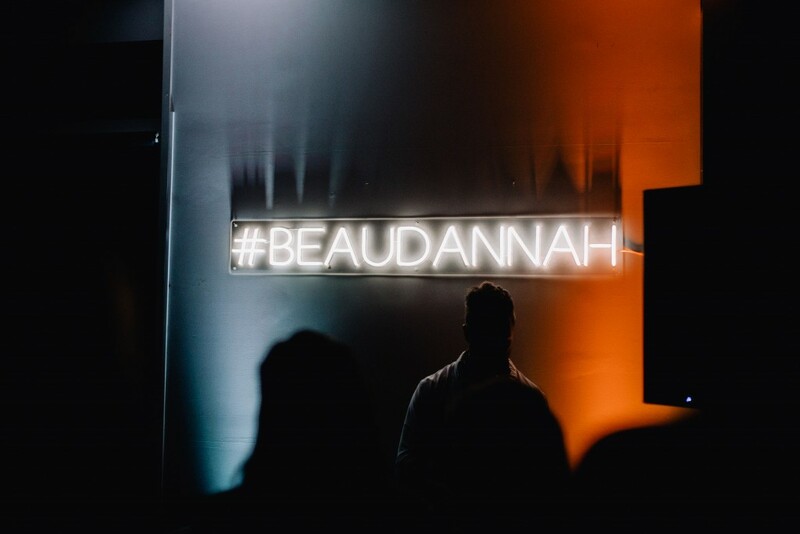 Following a stunning sunset reception which included delicious food by Hurakia Lodge head chef Emily Lucas and a Haka performed by some of Beauden’s rugby teammates, guests were ready to hit the dancefloor. 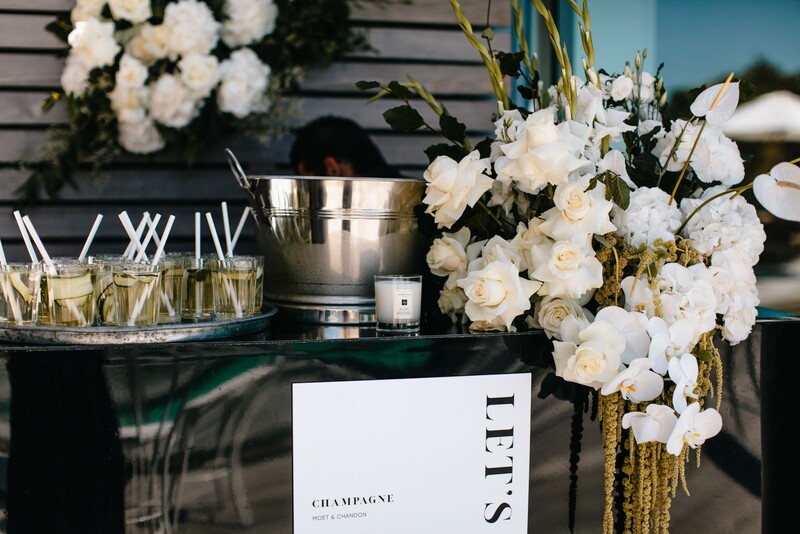 Hundreds of candles lined the way into the lodge and pool area where the party continued. 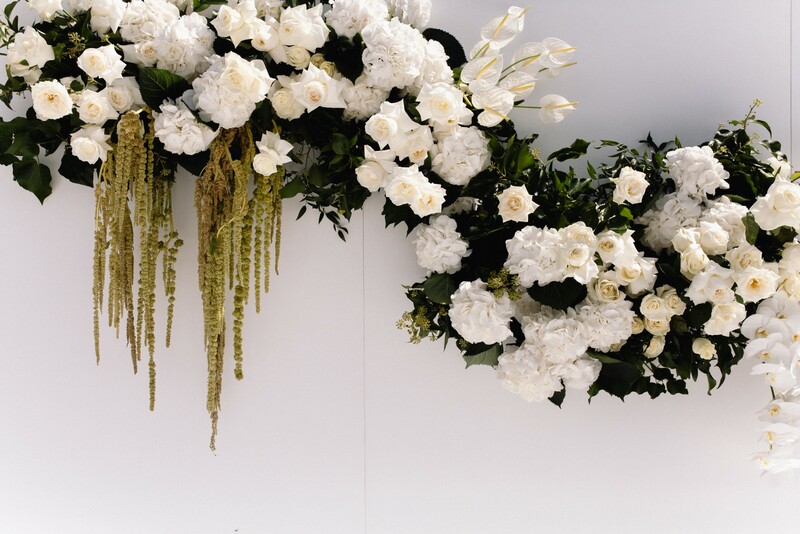 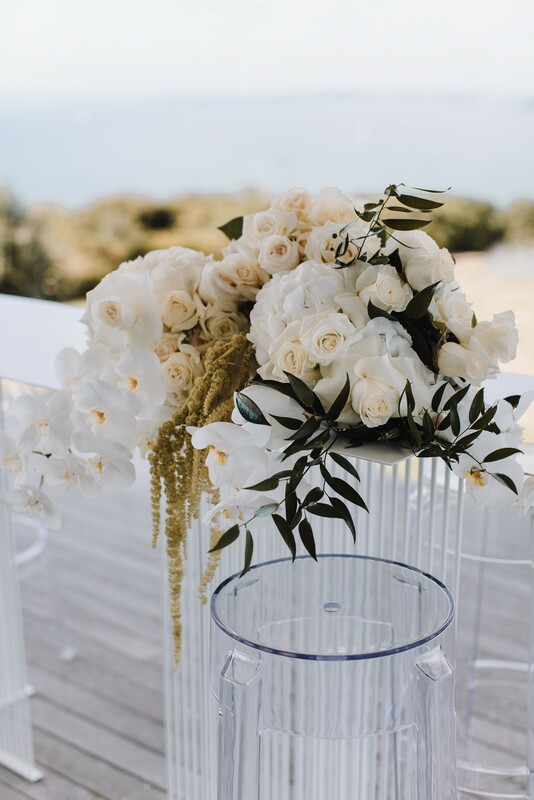 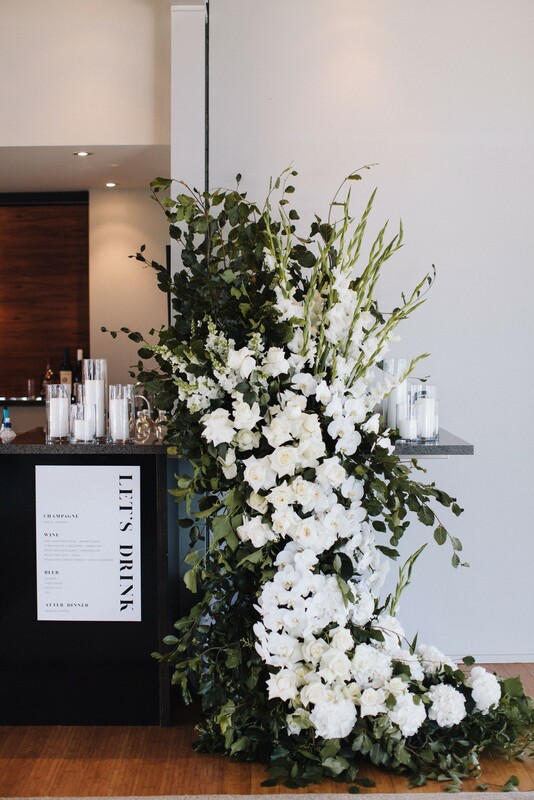 Floral varieties included throughout the event consisted of Phalaenopsis Orchids, Amaranthus, Roses and Hydrangeas, Caspia, Lisianthus, Anthurium, Ruscus Milano, Seeded Ivy. 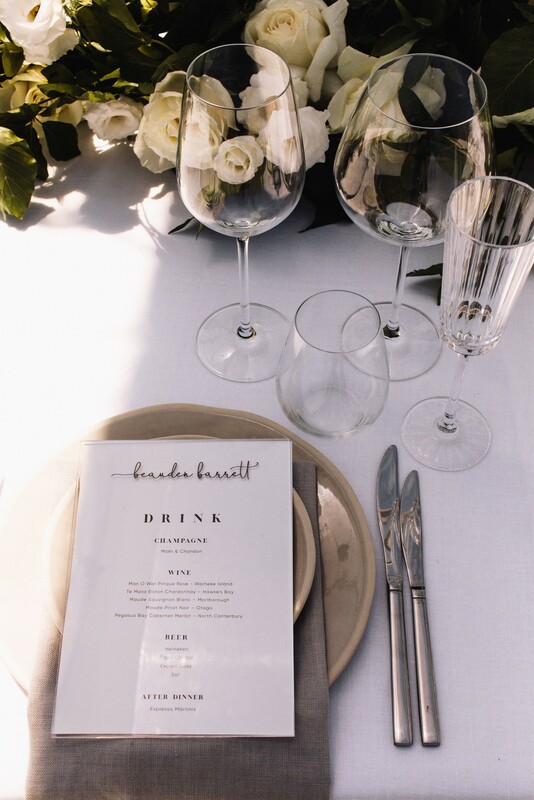 It was truly a day to remember and a dream to help create. 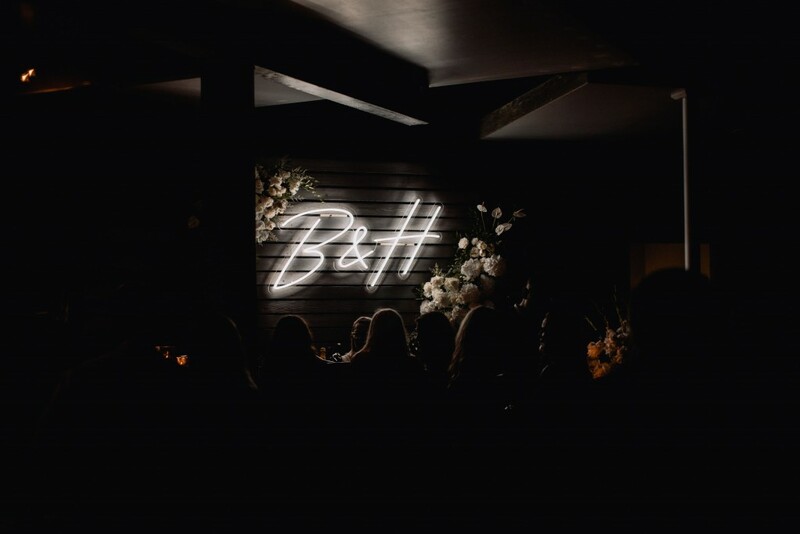 We will be forever grateful that Hannah & Beauden chose One Fine Day to be part of it all and wish you both the best of married life!